Welcome to Pastor Mrs. Dele Bamgboye's Blog: HOW DO I GET HIM TO LISTEN TO ME? HOW DO I GET HIM TO LISTEN TO ME? Having discussed the issue of how to get your husband to talk in an earlier post, I would like to focus on another 'biggie' for women: how to get him to listen to you. The average woman is never short of what to say! And truth be told, there is always something to say to your husband just in the daily grind of living. Decisions need to be made. Plans need to be perfected. Progress has to be made. Life has to be lived. And that on a daily basis! You have an opinion on issues ( which woman doesn't, lol!). You have your preferences. Sometimes your ideas and thoughts are at variance with your husband's. The question here is not whose idea is right or wrong. It is that you have a need to know that you have aired your views and have been heard and understood by him. That you indeed have your husband's ears because he pays attention to whatever you have to say per time. Every woman wants to be able to bring her husband to the point of realization of what her own perspective is. Unfortunately though, that is not the case for the bulk of us. The gripe among most women is that their words and divergent views appear to fall on deaf ears in most cases. "He just does not get it; he doesn't understand my point of view." Or in some cases, it is an outright "my opinion does not matter to him; my words are meaningless. He never listens to me." So, you are making sounds and uttering words ( sometimes in high decibels). 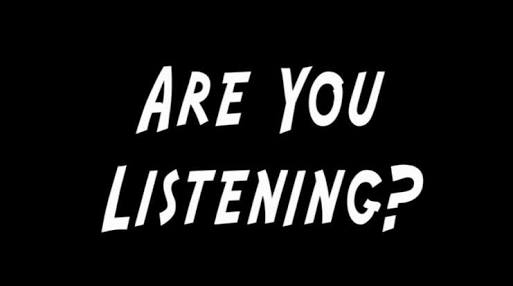 He hears you clearly but you know he's not listening with his heart because it's obvious you are not engaging him. Sisters, if you want to reverse this trend permanently in your relationship with your husband, there are some truths you must know and consciously walk in. For starters, the average man detests being instructed by his wife. It is just how men are wired. Something within him repels being talked to like a clueless pupil! Well, that may be far from your mind , but if you come across like an instructor barking out orders to your subordinate, no matter how right your point of view is, he will not 'bow' to it! So the next time you have something important to say to your husband, rehearse it first to yourself and objectively determine whether you sound like his mother or a loving ally. Approach him in a non-condescending manner, not like someone who never gets anything right and needs to be pointed in the right direction yet again! Let me let you in on a secret that most men harbor and which they may not readily admit: They struggle internally with feelings of inadequacy. From the workplace, to the community and other gatherings, the society is ruthless in pointing out a man's deficiencies. So he struggles to keep up with societal expectations of him as a man all the time. A lot of times, he feels he is not doing enough and wants to improve, but his ego will not let him admit that to you. Then, you come along one day ( or everyday for some women) and begin to knock off what little is left of his sense of value because you have something to say! Do you see the picture? If you speak to him in a manner reminiscent of his domineering mother or fault-finding boss, he will not listen. It is not that your point is not correct, it is that your modus operandi is faulty and counter-productive. You mean well but your manner of approach is a hindrance. Next is an all-important one which is common to us women. Owing to the fact that most women are emotional in our approach to issues, this gets in the way of us being able to reach out to our husbands the way we would like. The average woman operates at the level of feelings and perception. So in driving home our point, we tend to push for attention by wrapping our requests in unreserved demonstrations and sentiments. The height of it is shedding tears; you know crying, weeping or wailing! Of course you know what I'm talking about. Have't we all been guilty of this 'besetting sin' at one time or the other? Lol. A real woman has not made her point to her husband on an important issue until she has overwrought in the area of her emotions and feelings.Well guess what? Nothing exasperates a husband like a wife on an emotional overdrive. 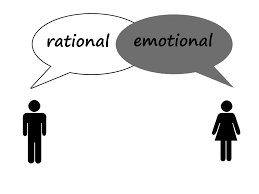 Unlike women, men are very rational and logical in their approach to issues which is why most women consider them insensitive. They tend to process issues in terms of what makes sense as opposed to what feels right or wrong. So here is the thing. When you put your emotional outbursts forward in your approach to your husband, you come across as fickle, unserious, manipulative and controlling! You do not make sense at all. He gets the signal that you are trying to have your way by all means and that is why you are trying to twist his arms with your tears,and what have you! See, men don't like drama! Period. If you want him to pay attention to what you have to say, then you need to meet him in his comfort zone: be rational. Make sense. Make a clear, objective case for your perspective. Talk. Don't shout. Don't sulk. Don't cry. It won't work! Just explain your point with proofs and well-grounded facts. Men love facts. So support you arguments with intelligent, objective and thorough facts and figures, which demonstrate that you have done due diligence to consider all the sides and perspectives involved. Outline the pros and cons of your position; the immediate and long-term benefits where applicable and all the while with dry eyes! So he will see that what you are suggesting is well-thought out and is not based on 'I just feel that...' Or 'I don't know but that is how I feel.' Ladies, I can't emphasis this enough. Little wonder really that even God expects us to approach Him in this exact same manner: Isaiah 41:21, 21 Produce your cause, saith the Lord; bring forth your strong reasons, saith the King of Jacob. Isaiah 1:18, 18 Come now, and let us reason together, saith the Lord: though your sins be as scarlet, they shall be as white as snow; though they be red like crimson, they shall be as wool. One more thing before I wrap this up. Simply because you have made a case about an issue does not mean your husband has to respond immediately, unless of course it is an emergency which he too is aware of. Once you have made your point, leave him alone to think about it too. Don't insist that he responds immediately. Let him also ruminate over it and come to his own conclusions. The facts and figures you provided are sufficient material to at least spark a thought and a call to action on his part. Challenge him positively by letting him know 'I trust you to help us make the best decision in this case; God will help you.' Then commit the issue at hand and your husband's heart to God in prayer, so that God can touch him where only He can and cause him to see what it is that you are trying to pass across to him. This is certainly not all that there is to getting your husband to listen to you but with these in place, you are well on your way to having him hang on to your every word like you really desire him to. This is a great message and I am blessed, you presented the message mummy in a simple easy to understand and comprehend may the anointing on you remain fresh in Jesus name. Mummy you are on point. Thank you for the illumination. A lot of us women actually fall into this emotional trap and never really know how to get our messages across to our spouses, but this message is an eye opener. Have a great weekend ma'am. Great weekend to you and family too, Ezinne. Thank you. Well said! Mama. I'm learning this one not to nag or try to boss. I get more results when I suggested or ask him a question. Way to go, Esther! Bless you.